COBRA SUSPENSION is one of the leading manufacturers of sport suspension in Europe. Cobra have more than 20 years experience with the development of sport suspension for race and street cars. COBRA lowering springs are made in Holland to meet the highest European quality standards like ISO 9002 and TUV. Cobra use their tests results from the race track to develop superior sport suspension for your car on the street. COBRA lowering springs and sport shock absorbers not only give your car that "race car" look, they also improve the handling of your car during fast cornering, acceleration and braking. A COBRA suspension kit guarantees a perfectly balanced handling of your car in every driving situation. 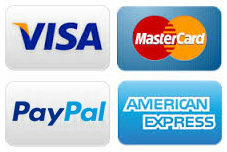 Try it yourself and experience: THE POWER OF CONTROL! Cobra lowering springs are cold wound on CNC coilers, heat treated and shotpeened for longevity, finished with phosphate treatment and a baked on resin powder coating for a hard corrosion resistant shell. For an optimum adjustment of the height of your car you can use the EVO-I. With the use of this coilover you can give your car the perfect sporty look you want. 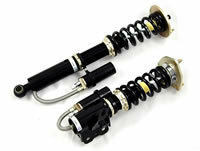 The EVO-II coilovers combines the sporty look of the EVO-I together with the comfort you wish on your car. Would you like to have it stiffer of just a little bit more comfort? You can choose this by adjusting the damping of the coilover kit in 20 positions. EVO-III coilovers are high quality mono-tube high-pressure, coilovers. The damping force on rebound and compression is adjustable in 10 positions. These coilovers are adjustable to several heights. You will be surprised what a comfortable ride you will experience on street or track. If you like to go to the extreme with the looks of your car and still want to have a comfortable ride you choose the EVO-R. With the EVO-R with adjustable top mounts you can achieve the right camber for the ride of your live.